We had a big bounce in cyclical sectors last week in the MSCI World Index. On an equal-weighted basis, the energy sector outperformed the MSCI World Index by over 6% last week. The second best performing sector was financials (+3.12%) and the the third best performing sector was materials (+2.78%). The bottom of the leader board is made up of counter-cyclical sectors. Utilities was the only sector that finished the week in the red (-1.96%), while consumer staples (+0.59%) and health care (+0.70%) rounded out the laggards. Year-to-date, health care remains the best performing sector (+4.08%) and energy (+0.36) has finally moved out of last place and into positive territory for the year. 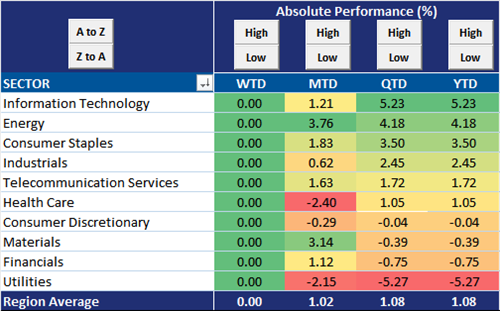 Utilities (-0.57%) has been the worst performing sector so far in 2015. The performance story in the emerging markets last week was similar, it just wasn't as extreme. 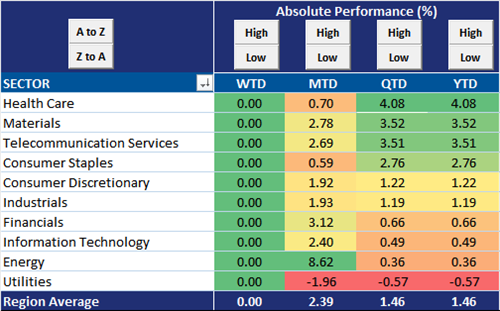 Energy (+3.16%) was the best performing sector followed closely by materials (+3.14%). However, the third best performing sector was a counter-cyclical sector. Consumer staples ended the week 1.83% higher. The average stock in the MSCI Emerging Markets Index ended the week 1.02% higher. The worst performing sector last week was health care (-2.40%) followed by utilities (-2.15%). Year-to-date, information technology (+5.23%) is the best performing sector followed by energy (+4.18%) and consumer staples (+3.5%). Utilities is by far the worst performing sector in the emerging markets. It is down 5.27% so far this year while the second worst performing sector, financials, is only down 0.75%. Is Energy's Dead Cat Bounce Over? Are EM Asia Equities Really That Cheap? Gavekal Capital is a US registered investment advisory firm that manages the Gavekal Knowledge Leaders Strategy. Knowledge Leaders are a group of the world’s leading innovators with deep reservoirs of intangible capital. These companies often possess competitive advantages such as strong brand, proprietary knowledge or a unique distribution mechanism. Knowledge Leaders are largely service-based and advanced manufacturing businesses, often operating globally. Gavekal Capital seeks to identify the world’s leading knowledge companies through a proprietary process that analyzes corporate knowledge investments. We offer the Gavekal Knowledge Leaders Strategy in multiple products for global investors. 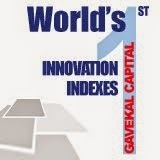 For more information about our product offerings please visit http://www.gavekalcapital.com. Blogs are posted by our investment team. Find out more about us at here. Read more about our strategy at www.gavekalcapital.com. The information presented here is for informational purposes only, and this document is not to be construed as an offer to sell, or the solicitation of an offer to buy, securities. Some investments are not suitable for all investors, and there can be no assurance that any investment strategy will be successful. An investor cannot invest directly in an index. Hyperlinks may be included in this message that provide direct access to other internet resources, including web sites. While we believe these links are to reliable sources, Gavekal has no control over the accuracy or content of information contained on these sites. Although we make every effort to ensure such links are accurate, up to date and relevant, we have no control over pages maintained by external providers. The views expressed by these external providers on their own web pages or on external sites they link to are not necessarily those of Gavekal. The information listed on this blog is for example purposes only and should not be construed as the investment Advisor's opinion or investment outlook. As of the most recent quarter end, the named companies may have been held by the investment Advisor. Please review the most recent disclosures. For full information including additional policies and full disclosures on the Advisor, please visit our website gavekalcapital.com. © 2013 GaveKal Capital. Simple theme. Powered by Blogger.